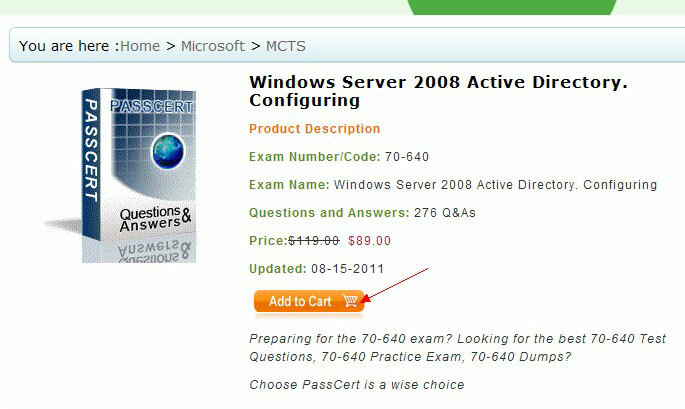 How to purchase Passcert products? 1.Click " Register " on top right corner on our website, to become a formal member of this website. 2. If you registered been our member, you can login in directly. If not, enter the registration information. 3. 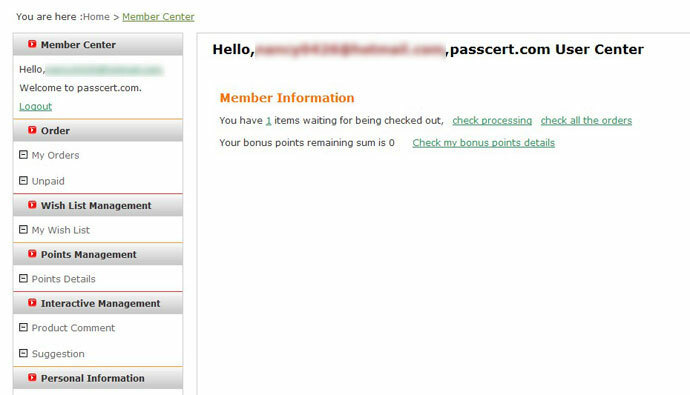 After you register successfully, you will be forwarded to the User center..
4. Through " Search "or " All Certifications" to find the subject which you need, and then click the button "Add to cart" to add our product to the cart. 5. After confirming the exam is what you want exactly in the shopping cart you can just click "Pay Now" to finish the payment. 6. After confirming the product you need in the shopping cart, please choose the payment method and then click the button "Continue Checkout". 7. In this page you can recheck your order information, payment method and receiving email well. Click the button " Check out with PayPal ". 8. 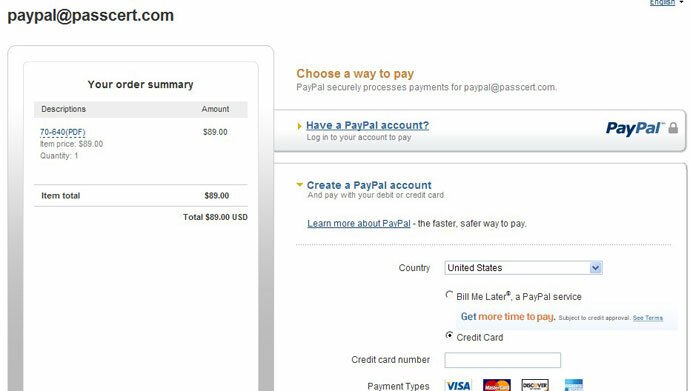 The page will jump to PayPal platform automatically, and we will not request any important information from you. After you complete your payment, in our working time, we will send the exam to you in 10 minutes. In our non-working time, we will send the exam to you ASAP, no later than 12 hours.